Below is a review for the latest version of PowerDVD. Doing a side by side comparison between WinDVD 7.0 and PowerDVD 7.0, there is for all practically purposes no difference between the video quality of both players. In previous versions of PowerDVD, it's picture tend to produce a softer picture, but with less artifacts, but the difference is small enough not to be noticed unless one is specifically looking for differences. With both players configured without video acceleration and with brightness/contrast at the original/default settings, PowerDVD looks a little sharper than WinDVD, although again, the differences are very subtle. I think both players have reached a stage where it is almost impossible to improve upon picture quality. Decoder efficiency was tested with 2 channel decoding turned on, video acceleration turned off and all other filters/effects turned off. The result was a bit of a surprise the last time round for PowerDVD 6.0, as the CPU usage averaged a very high 70% (although it could have been due to my system, rather than PowerDVD). In comparison, WinDVD averaged only around 20% CPU usage, which should have been the normal result. It's good to see that CPU usage is much more normal now for PowerDVD, with an average of 20 to 25% (tested on the same system that was giving out how results the last time round). PowerDVD's does feels more efficient due to its faster loading speed and a less laggy interface, although the difference to WinDVD is less noticeable now since PowerDVD has many of the same interface features as WinDVD and the result is a slightly more sluggish interface. CLEV has been updated again in PowerDVD 7.0, and with CLEV turned on, the picture looked brighter with more vibrant colors. But as with any picture enhancement (mostly just adjustments of specific contrast settings), details is lost and color bleeding and loss of color accuracy can occur. A slider is available to adjust the amount of CLEV enhancement (see the What's New page for a Flash demonstration of CLEV). New in PowerDVD 7.0 is the "Automatic" option, which automatically adjusts CLEV for you. WinDVD's "Video Effects" (and in particular, the "Movie Effector" filter) and PowerDVD's CLEV both do similar things and both have similar effects. WinDVD does have a few extra "Video Effects" presets (such as "Negative"), but as I mentioned in the WinDVD review, I personally do not find much use for this feature. Smart De-Interlacing was the major new video feature in the last version of PowerDVD. This is one of those set and forget settings, and whether this will improve your picture of not depends on the kind of content (ie. interlaced content) being viewed. Most DVDs now carry progressive content, and have interlaced content for extras and made for TV material. The "bitstream analysis" option is particularly welcomed, since many DVDs do not properly set the correct bitstream flag for interlaced content. High definition playback, including WMV-HD playback, has been available for a few versions. Playback was very good within PowerDVD. When high definition content was detected, PowerDVD gave an option to temporarily turn off CLEV-2 and smart deinterlace, and I thought that was a nice feature. The aspect ratio problems with the T2 HD sample trailer (available from Microsoft's WMV-HD website) found in the previous version is now gone as well. DivX support is included (DivX Pro features in the Deluxe version only). There is also the new built in H.264 playback in the Deluxe version, previously available as an add-on pack. Overall, WinDVD just shades PowerDVD in this area because it has more video filters, but this in itself is not really enough to put one player above another. Audio quality was top notch in the previous version of PowerDVD, and it remains so here. There are many settings here to improve audio volume due to DVD's dynamic range, but with everything turned on to improve volume, it's still a little bit softer than WinDVD with the same enhancements. Excessive volume amplification can cause loss of audio quality, so it's a fine balance. In terms of audio features, most of the improvements were made in the previous version, and this version complete the range of supported DTS formats. DTS 96/24 Decoding has now been added to the Deluxe version, while DTS-ES Matrix/Discrete (7.1 audio) and DTS Neo:6 (2 channel to multi-channel expander) are available in a separate add-on pack (for both the Deluxe and Standard versions). CLMEI (Cyberlink Multi-Channel Environment Impression - Cyberlink's own "simulated surround" engine) has been upgraded to CLMEI-2. It converts stereo sources for multi-channel (eg. 4, 6 or 8 channels) use. This functionality also exists in the form of DTS Neo:6 and Dolby Pro-Logic II - but CLMEI offers more configuration options in that it allows you to adjust each speaker's output level. Dolby Pro-Logic IIx is available in the Deluxe version of PowerDVD while Neo:6 is part of an extra add-on pack. PowerDVD 5.0 added Dolby Virtual Speakers, which does the opposite of CLMEI and plays back multi-channel audio using only 2 speakers (with audio tricks to trick your ears into thinking there are more than just two speakers - not a substitute for multi-channel audio, but works quite well). Cyberlink's version of the same thing is CLVS (Cyberlink Virtual Speaker). The available settings determine how big you want your listening environment to sound, just like Dolby Virtual Speaker, but here you get more meaningful option names like "Theatre" or "Stadium", rather than just "Wide 1" and "Wide 2". CLHP (Cyberlink Headphone), again Cyberlink's version of a licensed Dolby technology. The same options ("Living Room", "Theatre", "Stadium") for CLVS are available here. (For some reason, I could not find this option in PowerDVD 7.0 - the Dolby and TruSurroundXT options are still there - this options is listed in the help file as well as on the website). DVD-Audio (with video content) playback is available in the Deluxe version. CPRM protected content is supported, and the problem I had with the activation check failing in the previous version was not evident anymore. DVD-Audio playback was flawless and all the normal DVD audio features (like CLHP) are available as well. PowerDVD 7.0 contains 14 DSP presets like "Classical", "Techno", "Country" are included. WinDVD includes 17 presets and a custom equalizer mode. Once again, PowerDVD earns full marks in the area of audio quality and support. After being somewhat neglected in previous updates to PowerDVD, subtitles support has finally been updated, and it's an update that is quite interesting. 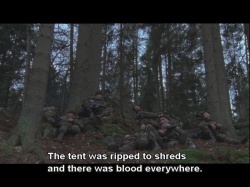 PowerDVD 7.0 now adds a subtitle mode called "Read-It-Clearly", which basically re-positions the subtitles within the black bars of a widescreen movie, to make it clearer to read. To enable this function, a configuration option must be turned on first, and a warning about possible video corruption is given (more on that later). Once enabled, I noticed video corruption in windowed mode on this test system (although on another test system with a GeForce 6600, there was no such corruption). Full-screen playback was fine, although the playback quality suffered a bit. 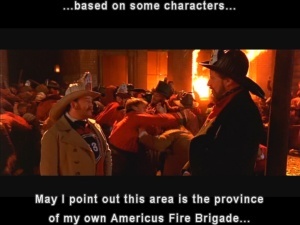 Read-It-Clearly does work as described, with the option to select which type of widescreen movie you are watching so that the subtitles can be placed correctly. It will also allow two sets of subtitles to be displayed at the same time, both with Read-It-Clearly turned on (one set to "Top", the other set to "Bottom"), meaning that you can have two sets of subtitles and neither is overlayed on top of the actual video - nice. Dual subtitles can also be displayed at the same time as closed captions, which means 3 subtitles/captions can be simultaneously displayed at the same time. 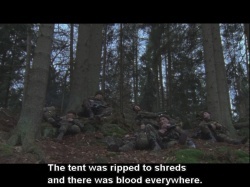 Closed captions are displayed as white text on a transparent background, which isn't as clear as WinDVD's white text on a black background setup - WinDVD no longer supports multiple subtitles. While not mentioned in anywhere in particular, DivX subtitle is supported by PowerDVD 7.0. The subtitle file I used was placed in the same folder as the AVI/DivX file (same filename), and it was automatically loaded. I could not see how to load subtitle files manually like in WinDVD. Nevertheless, it's a welcomed addition, and along with Read-It-Clearly support, makes PowerDVD's subtitle support slightly ahead of that of WinDVD. With PowerDVD's implementation, you have the ability to capture to clipboard, instead of a file, and you have the ability to specify a location to store the captured file. PowerDVD even includes a option to capture to your Windows desktop wallpaper. PowerDVD 7.0 does not add anything new to this area. WinDVD has the additional ability to preview captures before saving, select between JPG/BMP and email integration. Still no audio or video capturing, which is a shame (although copyright concerns may be partly to blame). 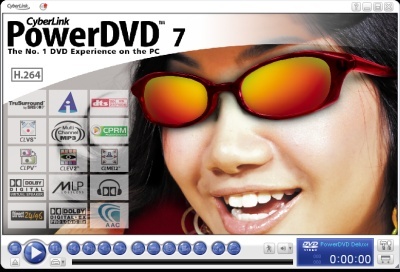 Most of PowerDVD 7.0's changes are in the user interface. First off, you'll notice a brand new OSD (on screen display) system, which now features some nice graphics. The new skin looks very good and can be expanded (with a nice 3D flipping effect) to the left and right with additional options for audio/video filters, a numpad and some navigation functions. All the most frequently used functions are found on this main console. Clicking on the display area of the main console will also change the "backlight" color of the console, the options black, green, orange, red and blue are available. Probably as part of the move towards Windows Vista style user interfaces, the main console is also transparency when it is in stopped mode. Taking a leaf out of WinDVD's book, PowerDVD 7.0 now also features a docked UI mode. There is also a Control Wheel mode. Last of all, there is a Mini mode, which is actually a taskbar toolbar which can be enabled (To enable the mini player mode, right click an open area of the Windows taskbar, select Toolbars, and then click PowerDVD 7), and when it is, minimizing PowerDVD will display the mini player controls. The whole interface feels a little bit more "heavy" (sluggish) than previous version, no doubt due to the new interface features, but it is still a very clean and fast interface to use. The interface improvements are welcomed and does improve the usability. PowerDVD is supported under a wide range of Windows version, including MCE, 98, Me, 2000, XP. Because of the limitations of driver/multimedia support under 98/Me/2000, not all of the enhanced features (like acceleration support) will be available. Please note that there are reports of problems with Windows XP x64 (PowerDVD 6.0 worked without problems). 64-bit Windows is not one of the officially listed platforms supported by PowerDVD 7. For mobile computing, power saving and other features are usually built into the OS. PowerDVD has mobile power setting built into the software as well. There is also a new function called "See-It-All", which speeds up playback so that a movie will finish before the battery runs out. Not sure how useful this feature is, since watching a movie in fast forward (even if the pitch is corrected) can be disruptive or highly amusing. 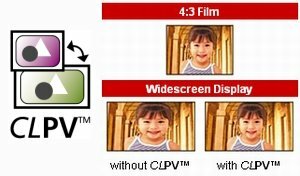 CLPV (Cyberlink Pano Vision) is Cyberlink's new zooming algorithm (for widescreen to fullscreen and more importantly, fullscreen to widescreen conversion/zooming). With CLPV, the center of the picture is zoomed less than the outer edges of the picture - assuming most of the action is near the center of the screen, this presents less distortions to the viewer. It sort of has a telescopic/panoramic look to it. This is actually quite a neat feature, and I was pleased to say that it works quite well, especially for fullscreen to widescreen conversion. Unfortunately, none of the zooming options are available when playing back non DVD content, except for the "Stretch to Fit Screen" option (which is actually one option that may be handy to have for non DVD content). 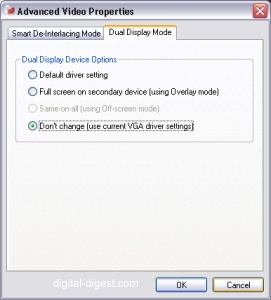 PowerDVD now also has dual display settings for setting up cloning/mirroring of displays across two displays, although your graphics driver should already have these type of options available. Additionally, DTS-ES Matrix, DTS-ES Discrete and DTS Neo:6 are available in a separate add-on pack for both the Standard ($39.95) and Deluxe versions ($19.95). The Standard version is good value for a fairly complete media and DVD player, but the Deluxe version is only slightly more expensive, very well priced compared to the competition and now has quite a few additional features over the Standard version. Also consider that a Standard version plus the Mobility add-on pack will cost the same as the Deluxe version with Mobility built in and all the above additional features. Definitely get the Deluxe version if you can afford it.